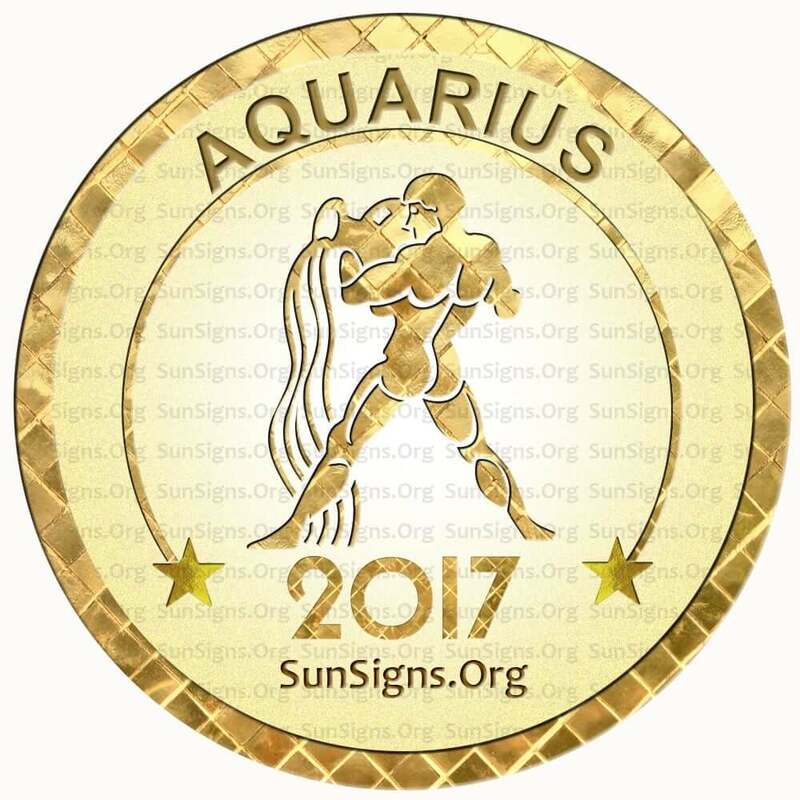 The Aquarius 2017 horoscope predictions suggest that this year your life will take a more serious turn than it has in recent years. While you may be bored at times, know that you can do exciting things without emptying your bank account. This is your year, so make the most of it. The sun sign 2017 forecasts suggest that the Aquarius star sign can also make friends with co-workers to make work a little less boring. Use your days off in a fun way to make your free time all the more wonderful. You are an Aquarius personality if you were born between January 21st to February 18th. This star sign makes the best friend that anyone could ever have. They are intelligent and charming, as well as just being generally friendly. They don’t want any moment in their life to be dull; they always want to keep moving and doing new things. Their constant moving may make them seem a little detached and inconsistent at times. The astrology for Aquarius 2017 says that although you can rely on them for a good time, you might not be able to count on them for something important. If the Aquarius man or Aquarius woman plays their cards right in 2017 they are bound to have a great time still! The 2017 forecast for Aquarius zodiac sign asks you to try to date someone who loves exciting things like you do. Your family will be very important this year as well. They can truly tell when someone is good or bad for you; if they should be your partner or just your friend. Planning for a baby too will be on your mind. So long as you are confident your social life and sexual trysts are sure to go well this year. But be safe and don’t take too many risks. The Aquarius star sign 2017 predictions ask you to make sure that you keep a careful watch over your finances this year. You can easily make your budget unstable by spending too much money on things that you do not need. The Aquarian will need to make some sacrifices this year, but it will all be worth it in the long run. While Aquarians are usually full of energy, this is not the case for the Aquarius in 2017. You may want to keep exercising just to keep yourself in shape, but make sure that you don’t push yourself too much or you may sustain some sort of injury because of it. This is a year of relaxation, rather than stressful exercise. You can try yoga and meditation. Keep eating healthy foods like a vegetarian meal to stay in shape, though. Eating foods that are bad for you will only make you gain weight and feel more poorly about yourself in the future. Next year the Water Bearers are bound to have more energy. So don’t get too out of shape that you cannot enjoy it. Aquarius sun sign loves to do new things and meet new people. The future is highly important to them, so why not look into their horoscope for 2017? Next year things will relax a little bit; know that this busy strain won’t last forever and it may make it easier to get through. January 2017 predictions show that love and family life will be favorable. February 2017 will have the Aquarians tempted to indulge in risky financial dealings and speculations. March 2017 shows that your health will be good. Do not get into any kind of ego issues at work. April 2017 is a month to develop your psychological self and be prepared for future activity. May 2017 shows conflicts with spouse. Your vitality and energy can improved with regular walks. June 2017 is a month for parties and enjoyment with friends and family. July 2017 is a month to concentrate on details in your life. Do not fight with your spouse on small matters. August 2017 is when the 2018 Mercury retrograde strikes. This is a good time to change your wardrobe. September 2017 is when planet Mars will keep you very busy and active throughout the month. October 2017 shows that you will be involved in charity work. November 2017 shows that your career will be at a peak this month but health will be delicate. December 2017 is the perfect time to go ahead with relationships and job changes. Overall, the Aquarius horoscope 2017 forecasts a healthy and energetic year filled with fun and frolic. Be active and be optimistic.